This killer suitor lured numerous victims into sham marriages, then murdered the women and burned their bodies in his fireplace. Henri Désiré Landru never cut an imposing figure; he was a slight and modest man with an unassuming visage and a bushy beard. In his homeland of France, however, Landru is most commonly associated with a sinister folktale figure named Bluebeard. And it isn’t his impressive facial hair that evokes the comparison. The fictional Bluebeard was a criminal, who lured women into marriage then slaughtered them one by one, inheriting their wealth. Indeed, in real life, Landru seduced hundreds of women and swindled them out of their money. Ten of his targets, plus one target’s son, ended up as murder victims, exiting Landru’s residence as smoke through the chimney. 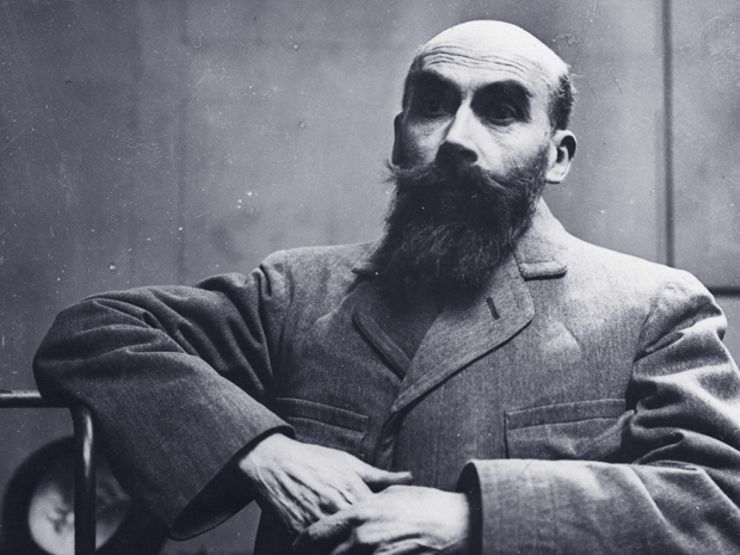 Unlike many serial killers, Henri Landru did not have a miserable childhood or suffer abusive parents. He was born in 1869 to parents who already had a daughter; their intense desire for a son was the inspiration behind Landru’s middle name. Although the Landru family was poor, their household was by all accounts a loving one—to a tragic degree. It is said that when Henri was first arrested for petty theft as a young man, his father, distraught at the thought of his son’s criminality, committed suicide by hanging. 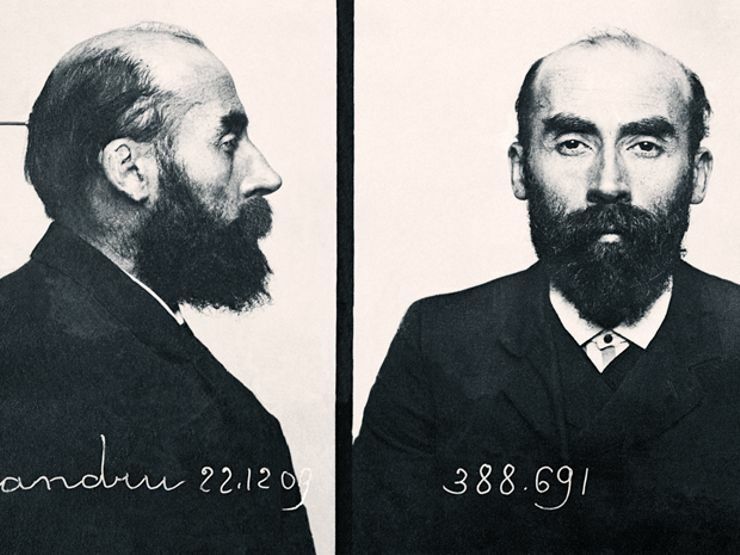 His father’s death aside, Henri Landru’s early life was one of quiet success. He did well in school, was drafted into the military and discharged with the respectable rank of sergeant. Eventually, Landru married a cousin, with whom he sired four children. But this bourgeois existence failed to satisfy the man, who possessed an irrepressible charm and no moral compass. So Landru began secretly courting, and often marrying lonely women with considerable financial assets. 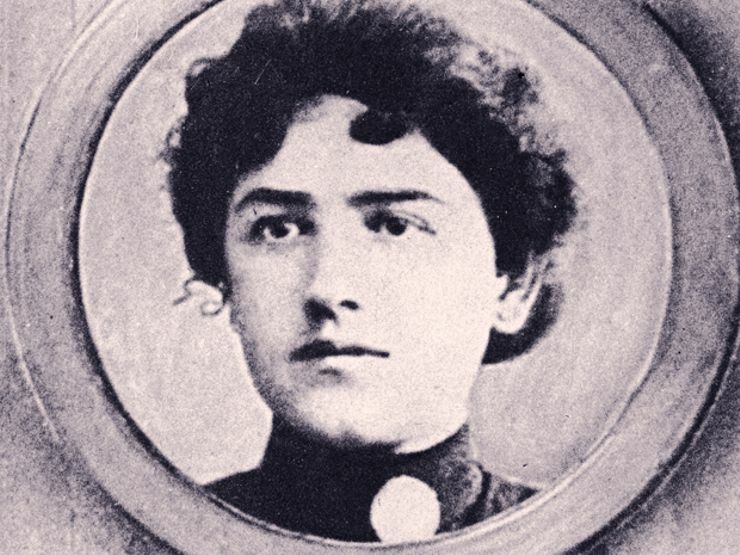 The first known murder victim was Madame Jeanne Cuchet, a 39-year old mother of an 18-year-old son. Landru took an intense interest in both Jeanne and her son—much to Jeanne’s delight. Not long after, however, both Jeanne Cuchet and her son disappeared, while Landru was suddenly 15,000 francs richer. This influx of wealth led Landru to dozens more seductions and swindles. Some of his female targets were as young as 19, while others were as old as 51. His predatory period ran from 1915 through the dark years of World War I, a time when thousands of fallen soldiers left behind grieving widows. In 1919, a sister of one of Landru’s victims grew concerned after her frequent letters to her sibling went unanswered. She soon met the sister of another Landru victim, and the pair’s suspicions were confirmed. Together, they approached the mayor of Gambais, where Landru lived, and asked him to investigate the matter. In April 1919, an arrest warrant was issued for Landru, who, upon noticing the police trailing him, tossed a notebook out of his apartment window. Authorities soon recovered the booklet, and found within its pages a list of women that Landru had dated along with recordings of their financial assets. When they investigated Landru’s home, authorities found more damning evidence: approximately 290 bone and tooth fragments were strewn about the fireplace. Landru did his best to stonewall the court at his trial. Historical records suggest he showed little remorse when questioned and avoided responsibility when confronted with his crimes. Such attempts were in vain. 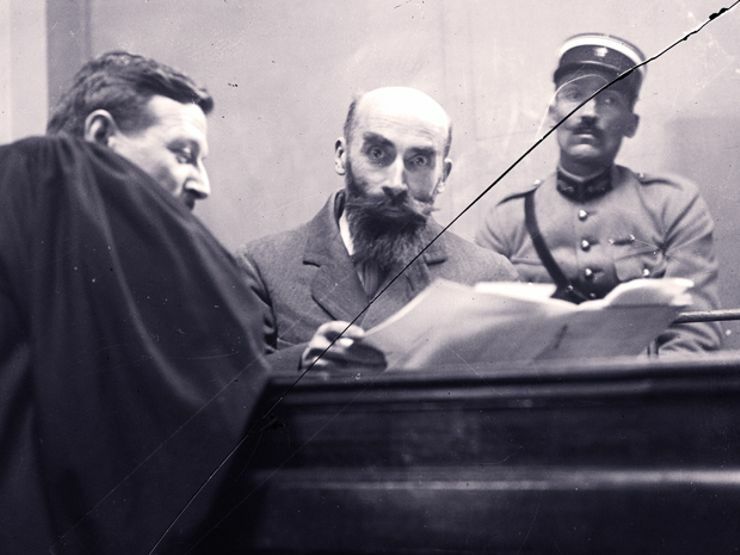 In 1921, Henri Désiré Landru was found guilty of 11 murders and sentenced to death. In early 1922, he was sent to Versailles, where he was beheaded via the guillotine. 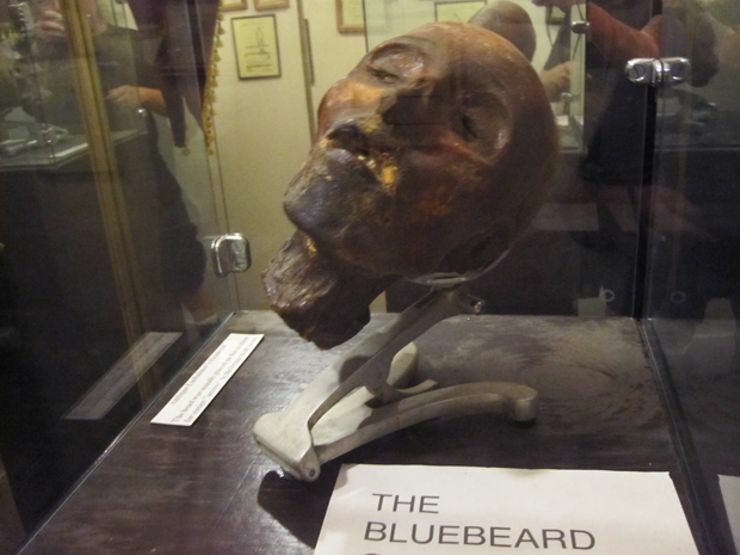 While Landru’s life ended by the blade that winter day at Versailles, his severed head lived on as a grisly museum artifact. Currently, the desiccated cranium sits in Hollywood’s Museum of Death, where visitors can get face-to-face with the notorious killer.